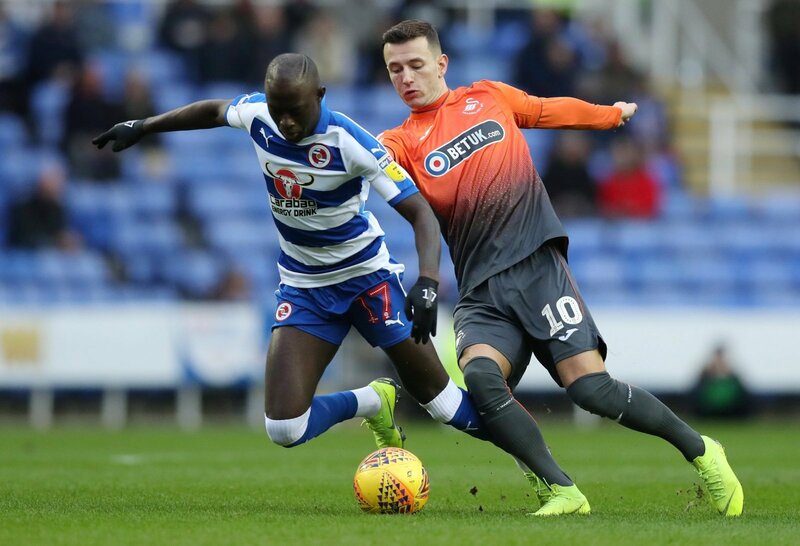 Hull City have joined the hunt for Reading winger Mo Barrow, according to Football London. Barrow was being tracked by Turkish side Bursapsor, but he’s now likely to have options in the Championship too as Nigel Adkins looks to shuffle his pack in the next 36 hours. The transfer window is edging closer and as yet, Adkins hasn’t been able to significantly add to his current offering. That could mean a move to Humberside for the 26-year-old former Swansea man. Barrow has been a part of Reading’s fight for survival this season, playing 23 matches and scoring once. The Gambian winger started his career in Sweden, finding his way to these shores with Garry Monk’s Swansea in 2015. Whilst at the Liberty Stadium he had loan spells with Blackburn, Leeds and Nottingham Forest, before completing a £1.25m move to Jaap Stam’s Reading in 2017. He’s now a target for another Championship club, with Hull City launching an unlikely assault on the play-offs. They’ve stumbled in recent weeks, but have elevated themselves to 13th, just six points shy of derby in sixth. This is an interesting move for Hull. They have a habit of taking out of favour players to the KCOM Stadium and making them a part of a unique unit, but Barrow has been a part of Readings side with 15 league starts. He does only have one goal to his name, a late equaliser against Stoke City in early December, but he’d certainly represent a good buy for Hull if the money was right.